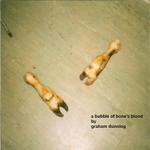 Available now on Canada’s Frequent Sea Records is my album A Bubble of Dove’s Blood. Across the five tracks are found sounds from 50 year old reel-to-reel tape, drones and hiss from cymbal feedback loops, crackles and clicks from modified records, and various other sounds. Buy now from Frequent Sea: link. NextFound Sound Recording, album track.